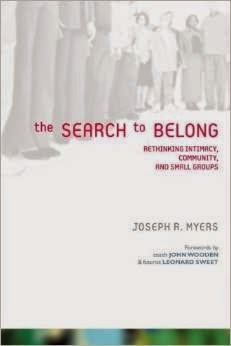 The Search to Belong: Rethinking Intimacy, Community, and Small Groups by Joseph Myers really spoke to me. He is not a Mormon, but I like the way he thinks about being the member of a church. This book explores what it's like for different people to participate in a community. Not everyone participates in the same way. I think this is really important. There are people in my ward who are considered less active but who would consider themselves totally Mormon. There's nothing wrong with having a hope for them to participate in full fellowship in the church, but treating them as outsiders isn't good. This book makes an interesting—and strong, in my introverted opinion—case for not expecting everyone in your congregation to be good friends or participate in the community in the same way. There is an expectation that friendship must move through stages, ending in being best friends who hang out all the time and that is the goal. But I certainly don't want that with everyone in my ward. I want that with maybe only 2 people in my ward. I only want that with about 6 people in the world, so it's nothing personal against my ward. It's OK to stay as just acquaintances. Knowing that when you have a baby I will visit you and if someone dies I will show up with funeral potatoes is enough (and quite a lot). I will teach your children the gospel and you will teach mine. You will take work off to sleep in a snow cave with my son and I will spend a week at Girl's Camp with your daughter. We will sit side by side as we renew our covenants with Heavenly Father. Isn't that enough? Do we have to have a potluck too? The pot luck is the least meaningful way we will spend time together during the week. A lot of people really like potlucks. I fully acknowledge that I like doing things less than most people. 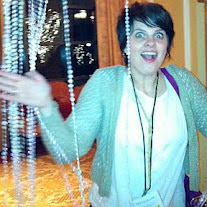 But I still do a lot of church-related things. For the most part it's good for me and I don't mind. And, obviously, a social component can bring us to the spiritual component, especially with the youth. But sometimes I just pick up on this crazed vibe in meetings (always with the meetings) that we have to have more activities, more dinners, more groups, more being together all the time! It seems separate from spirituality to me. Meyers suggests that we shouldn't necessarily have new people or visitors introduce themselves when they show up in church. It's ostensibly welcoming, but it's actually calling attention to the fact that they don't belong, that we've never seen them before. It can be problematic for certain types. Of course, other types love it. But so many activities and ward policies are planned and executed on the premise that we all have to be great buds who hang out all the time. More activities does not mean more spiritual closeness. And spiritual closeness does not really have to happen in a ward for everyone to have a meaningful relationship with God. Granted, spending time together does increase the responsibility and compassion we feel for each other. So I understand the push to get together. But I'm just like, enough already, guys. This book articulates how I feel without just seeming like and anti-social stick in the mud. Amen! We're not potluck people either and it makes me fee like a bad Mormon. Can you be non-social and still be a good Mormon? That's a really good question: Can you be non-social and still be a good Mormon. I think you have to be a little bit social but not as social as people seem to expect. One of my former visiting teachees told me that she and her family were "private people" and I admit my first reaction was a mix of shock and being almost offended. I was her visiting teacher! Weren't we supposed to be the best friends ever?! But then I came to really enjoy our compartmentalized relationship. We pretty much only talked about spiritual things and even attended the temple together, and I liked that we weren't bogged down by the feeling that we had to be super close friends in any other areas of our lives to feel a spiritual kinship. I'm really interested in reading this book! I live in an area with a lot of young married students who come and go. We get 10-20 people moving in and out of our ward with each semester. This transience polarizes people big time: they either hate our ward because nobody reaches out to them an they don't know anyone, or they love our ward because of it's diversity and because everyone reaches out to them and welcomes them. It seems like the real issue is what people have come to expect from a ward. Some want best friends and feel slighted if they don't instantly have them, while others want a strong group of people to attend church with. Instead of judging the merits of a ward, maybe we need to look at our expectations? Preach! I often console myself with the fact that additional RS meetings (fka Enrichment, fka Homemaking) are NOT required meetings. Also, small child's bedtime and the timing of most ward activities gives me the perfect excuse not to go. Lucky you! With teenagers and grade schoolers I don't have my "bedtime" excuse anymore. Ahh, but you could use the "I need to supervise homework" excuse! Works every time. We moved from Chicago to Provo a few months ago and it's a little surreal how all your circles overlap ...it's almost just one big circle (esp with husband teaching at byu). Right now it's a novelty - and we're a novelty, I suppose - plus we're in this home, neighborhood, ward, etc likely temporarily as we look for something more permanent, so I haven't given as much thought to how to navigate this new all encompassing sphere and/or long term implications - enjoying observation mode as social procrastination. I don't mind an occasional potluck or Relief Society activity, as long as I have time to mentally prepare. I know all the chit chat is going to be a little exhausting (I'm also an introvert, plus I don't always have many interests in common with other women), but I also know a little occasional socializing over a long period of time (like, decades) is the way I build life long relationships. And those are my favorite sort. I have like two intimate friends that I've had my whole life, but I also value my book club friends ( going ten years, and I rarely talk to them outside of our one evening per month), and my ward friends, only one or two of whom are kindred spirits (except for my Mom and sister), but I've known some of them 20+ years. I don't need people to fill my social calendar, but I do enjoy knowing people know me and have my back. Church is great for that! i've been thinking about this a lot lately as i find myself wanting to do fewer and fewer activities outside of church on sunday (like cathie, i can blame bedtimes and feel like i have a good excuse). it's even weirder because robbie's LDS cohort in his program has sort of blurred the lines between church and social life. i get concerned comments from the other wives when i don't show up to social activities that sound very familiar (because i've said them myself to people who don't show up to Every Single Activity) and i can't help but wonder if it's because they really miss me or if they feel like they have to "reach out" (in quotes because i hate that term) because i'm not around a lot. so what if i want to just be alone at home? or alone anywhere else? it's too much for me to be around a dozen other people in a social setting, especially since i don't know these people all that well. i'd rather have a nice one on one date with a girlfriend. this must be a sign i'm definitely turning 30 this year. "I like doing things less than most people" That made me smile. Kacy, wouldn't it be cool if there were a ward in each stake just for introverts? Then, each month we could schedule non-socials! The letter of the law says every meeting and ward/stake event which pertains to you should be attended. The spirit of the law says it's not requisite to run faster than you have strength. Good idea, Rusty. You can be the bishop. I'll be the employment specialist. Very good thoughts. I really don't like it when visitors have to stand up and make themselves known. I think there should be a couple people who are tasked with keeping an eye out for new people and making sure to privately welcome them and/or introduce them around. I have a question if you don't mind. Do Mormons say "God" interchangeably with Heavenly Father? Thought provoking. Myers challenges our long-standing views of belonging and the implications it has on our relational access to others. He helps to make sense of the places and spaces to which we belong. A book well worth the read!